My sunglasses are from JCrew but I couldn't find them on the site. 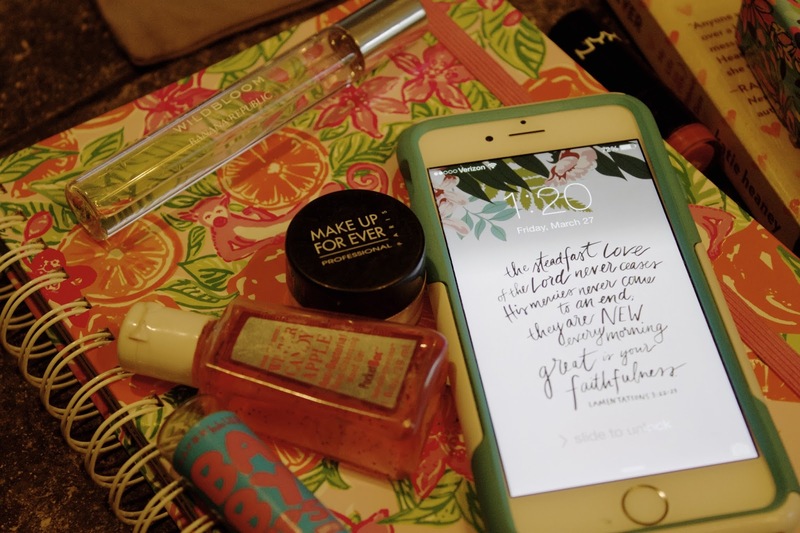 What are some of your go to items for your purse!? I love NYX lipcolors! And girl, I would kill for all the stuff in your bag! hahaha Loving that phone case as well. EVerything is so cute! I need to do one of these posts soon! 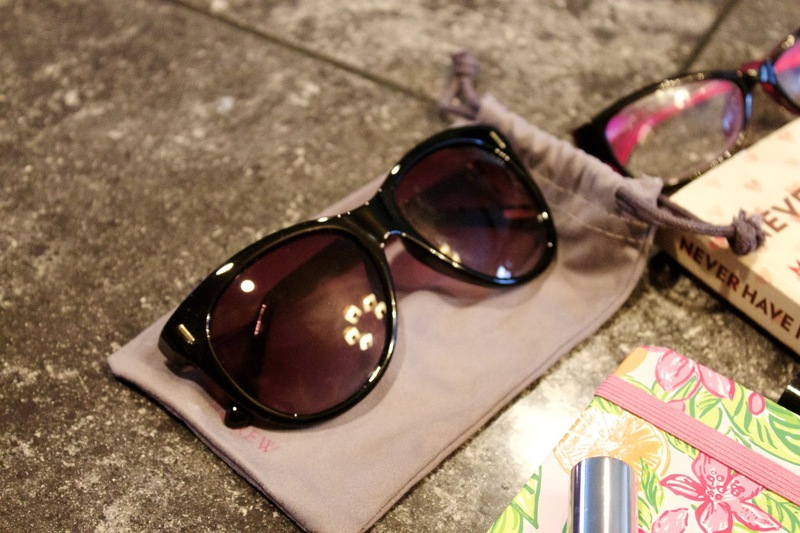 All the necessities! 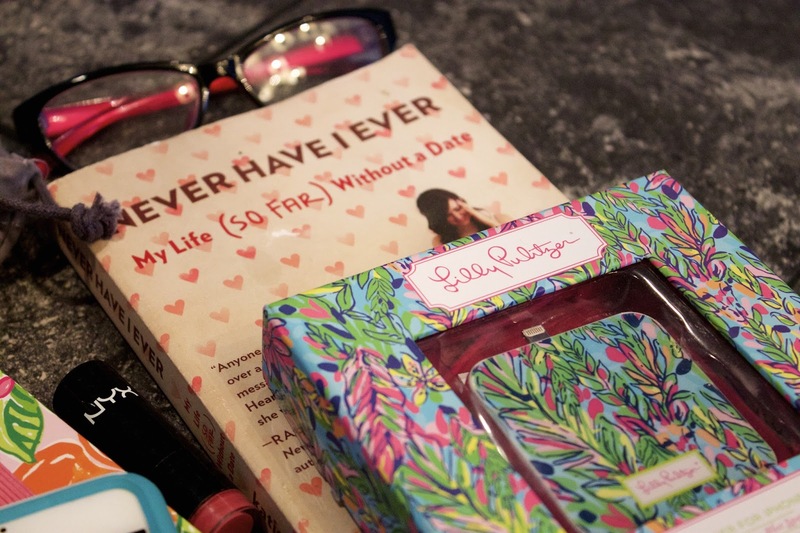 Love the Lily iPhone case. Love your bag! I always carry a backup charger! what a fun post! your notebook is so cute! I will have to check that book out! I've been on dates with so many weirdos... Maybe it will help me feel like I'm not alone! My must haves for my purse are hand sanitizer and li[ balm. Love that bag! 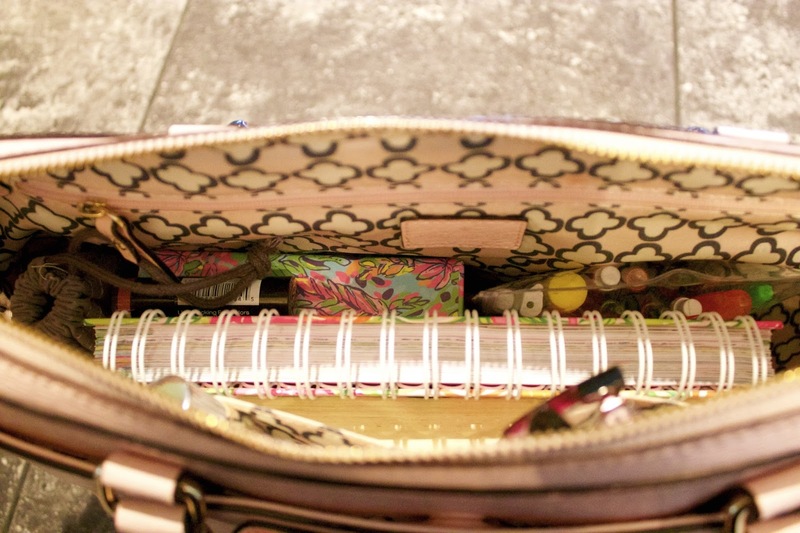 Your purse is so organized. 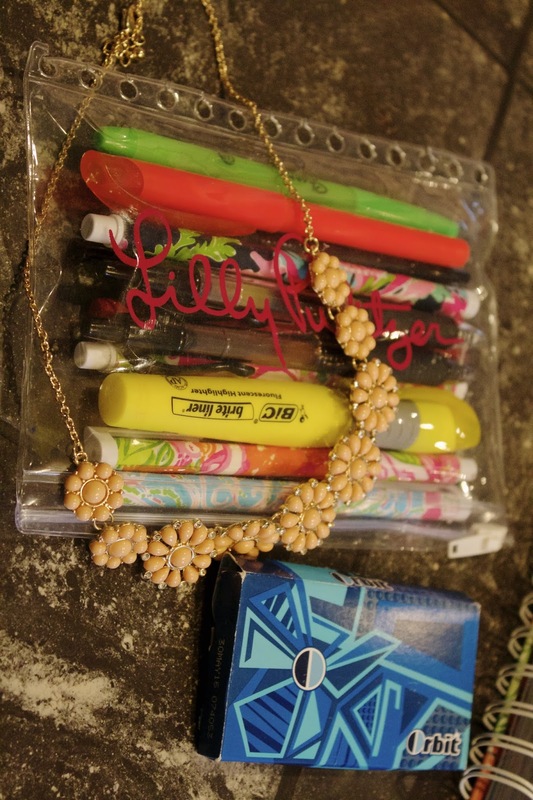 What a great idea to keep all the pens and what not in a bag like that! 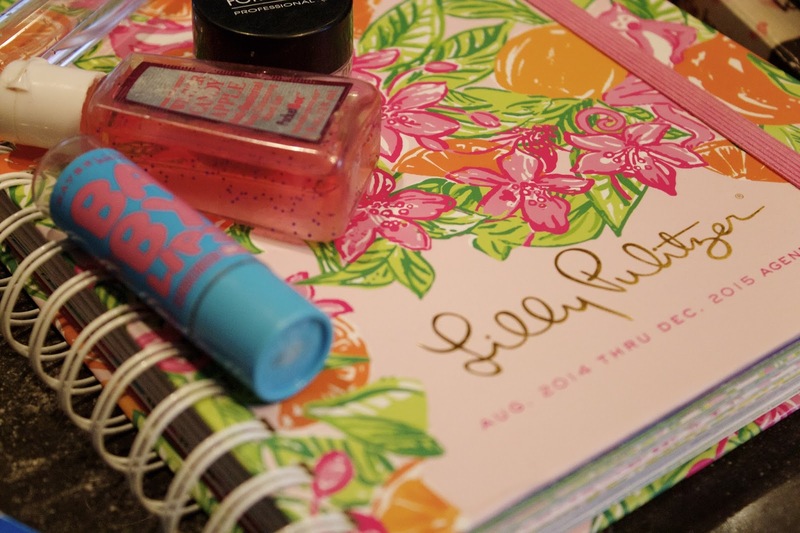 I love your blog and I love that Lilly charger pack totally want one! love kate spade, the bag is gorgeous!